“I often wonder how I could have gone through all I did. The pioneer life was hard. Sometimes it was incredibly hard. This is Carolina’s story. Maria was the first of the daughters to get married. Her husband, Jöns (Joe) had a younger brother, Johann (John) Peterson, who met Carolina and fell in love. But he didn’t reveal his feelings to her at the time. Instead, in 1881, he headed off to America where he found work in Stout, Colorado, as a blacksmith. After a few years, however, he finally wrote to Carolina and told her of his love. He moved back to Sweden and there, in March of 1886, the couple was married. 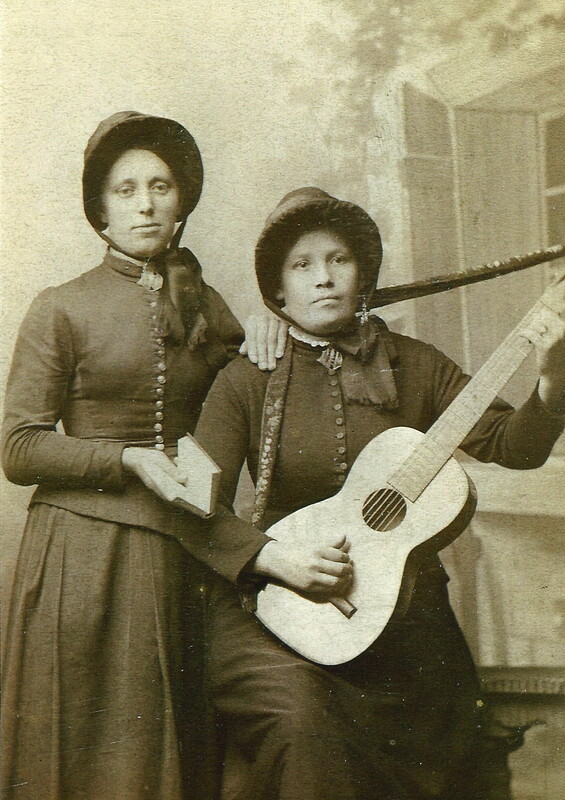 They remained in Sweden for a time and Johann found work blacksmithing for the railroad. 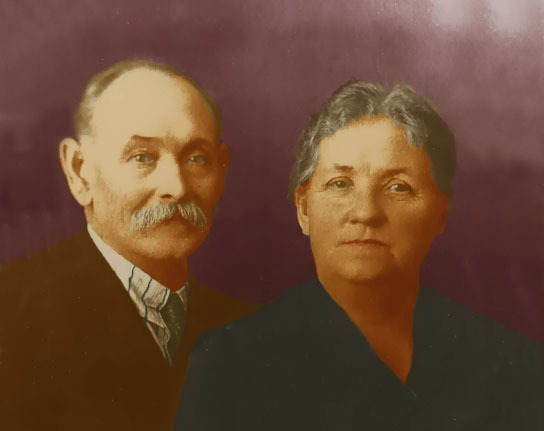 The Peterson’s travel across the sea was rough, and Carolina spent most of it sick in the cabin they shared with a Norwegian couple. The train ride was also difficult. They ran low on money and survived upon a can of meat and some bread. Upon arriving in Colorado, they found their connecting train delayed by a wreck. It was all too much. As Carolina sat on the box that contained all her worldly possessions, she held her little baby close and she cried. 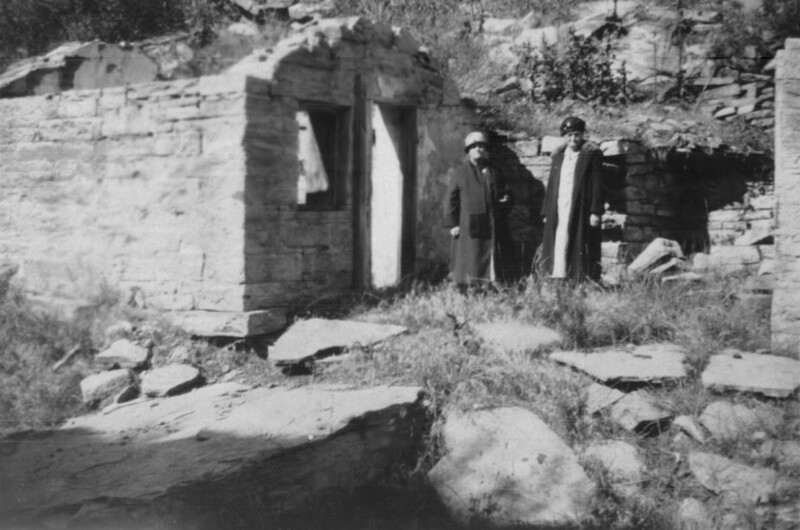 When they finally made their way to Stout (a community that used to be located where Horsetooth Reservoir is today), they stayed in a one room stone cabin that Johann and his older brother Axel had built during their previous stay in Colorado. They had a bed with a straw mattress, a small stove, a homemade table with benches, a rug over the flagstone floor, and a shelf on the wall to hold their food. And that was it. There wasn’t even an outhouse. They had to use a bucket. Carolina thought longingly of the two room house she had left in Sweden where at least they’d had furniture and an outhouse! Johann tried to hang out with the men at the saloon one night, early on, and boy did he hear about it when he returned home. He never made that mistake again. One day Carolina had a wonderful surprise. She had been working in the kitchen (such as it was) when she looked up and saw her brother Henry walking toward the house. She hadn’t known he was coming to America. Henry and a friend had come over together. His wife Ingrid, and their four children — Alice, Ernest, Hugo, and baby Charlie — would arrive later. The men had come in pursuit of the same American Dream that Johann and Carolina were still seeking. A room was built for Henry and his friend to stay in that adjoined the stone cabin. And Henry was able to get a blacksmithing job where Johann worked. A fumbled business venture led the young couple to move to the Arkins quarry (south of Masonville along Buckhorn Road) for awhile. There Johann joined his older brother, Axel, who had been blacksmithing there. Axel had been building a house in expectation of his brother Joe and family moving to the area from Sweden. He hadn’t expected Johann to be joining them as well. Joe had married Carolina’s older sister, Maria. They had four children and another on the way. After awhile it was all too much. Five adults (both women were pregnant) and five children in a two room house that Axel had built for Joe, not for Johann, sent him over the edge. One night he kicked everyone out of the house and it was only with the assistance of a nearby Swedish baker that they were able to get back in to sleep that night. Clearly the situation wasn’t working, so Johann and Joe decided to take their families and move to Denver. The two brothers (Johann and Joe) decided to leave and let the other brother have his house for himself, so we moved to Denver. We rented two rooms on the second story, then it really started! (Aug 1888) Our husbands started to look for work. Papa [Johann] got some work for $2.50 a day and his brother got some work for $1.50 a day. You see, he had to take what he could get as he couldn’t speak English. He soon took sick with influenza and was sick for a very long time. But what a time we had, living in those two rooms. How we made it I just can’t understand, when I think back to those days. Joe, who was sick, slept in the bed in one room and Papa and I slept on the floor. My sister slept in a bed in the room we had to use for the kitchen, where we did the washing, cooking and baking for 9 of us. We had to carry the water from the yard, and the coal and wood we used. There was no place to hang our clothes, and there was only an outside toilet. Can you understand how it was? No, you can’t. Johann and Carolina were soon able to get a place of their own. But in November 1888, Joe died of typhoid fever only a few days after his daughter, Inis, had passed away from the same. Maria was now a single mother of four (Inis had passed, but Charley had recently been born). As a member of the Salvation Army, she was able to get help from them and from the city, and so she squeaked by. Johann ended up heading back to Stout to work with Carolina’s brother, Henry Frey. So the women were on their own for a time, depending greatly upon each other and the church. After he left, I found out that something was wrong with me. I wrote my sister in Denver and she told me to come to her, so I moved again and when I came to Denver I went to see a doctor that helped me. Pregnant with her third child, Carolina’s husband and brother agreed that her mother, Karna, should be sent for to help. The baby was born and was given the name Nils, after Carolina’s father who had passed away the previous year. Karna arrived and traveled back and forth between her two daughters, one in Denver and one in Noland, helping out with the children and the housework. Time passed, but things never seemed to get any easier. More children came. A severe recession (called the Panic of 1893) led to the family living off of the sales from the eggs of their 70 chickens for awhile. During this time Karna decided to return to Sweden so Johann, taking their last $50, got her to Denver and put her on a train. The cost of her passage back to Sweden took every last penny and Johann was left with no other option but to walk back to Noland from Denver, a distance of 40 miles. 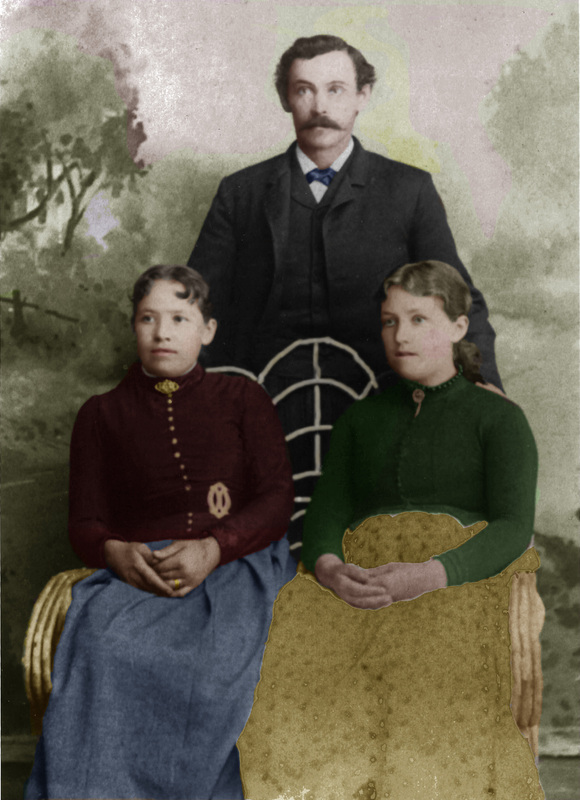 After moving back to Denver in 1895, the Peterson’s started to get ahead, finally able to afford a three room house for their family of seven. But an acquaintance gave them $400 to buy a mortgage on their house and when there was a strike at Johann’s work, they couldn’t make the payments and ended up losing everything. Then General Booth (the founder of the Salvation Army) came to Denver and convinced several families to move to northeastern Colorado where the Army had bought land so their members could raise food for the poor. That venture quickly failed and the Petersons were back in Denver yet again. They rented a place, Johann got his job back, and they were eventually able to buy two lots on Sheridan Blvd near Sloan Lake at the edge of town. There they stayed until 1908. Once the two older boys were old enough, they headed out to Seattle, Washington looking for work. When they couldn’t find anything there, Emil and Nils walked to Portland where Nils was able to land a job. The Petersons decided to move to the west coast to be near their two oldest boys. 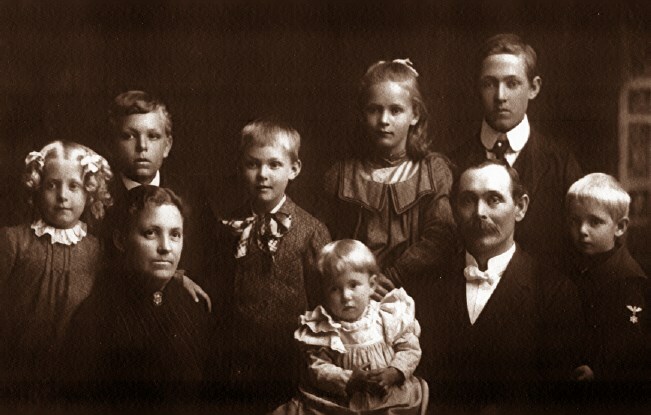 Though Lilly stayed behind in Denver for a time, Johann and Caroline, along with their children Carl, Ruth, Alvin and Eva, all traveled to Portland. From there Emil joined them and they continued on to Seattle. The Petersons bought 10 acres in the hills and settled down to farm. But the land they bought was full of trees and needed to be cleared first. Then Carolina found herself pregnant again. She was sick during the pregnancy and the little boy was stillborn. It was a very hard time and Carolina was loathe to write about it in detail in her memoir. In 1923, Johann passed away from heart problems. And just a few month’s later, Carolina’s brother Henry passed on as well. 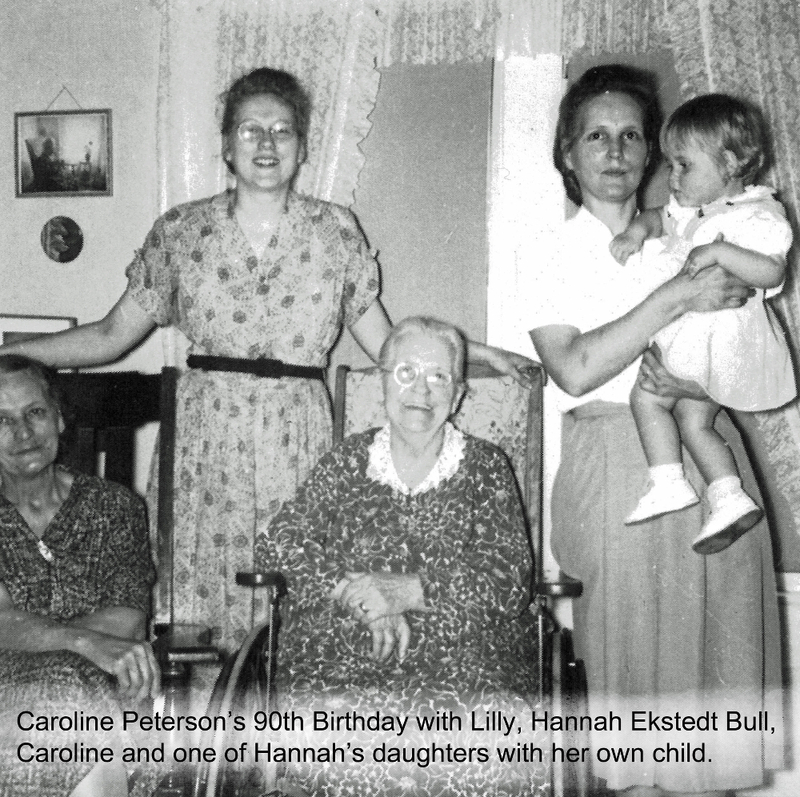 In 1953, while confined to a wheelchair, Carolina wrote down her story for her children. 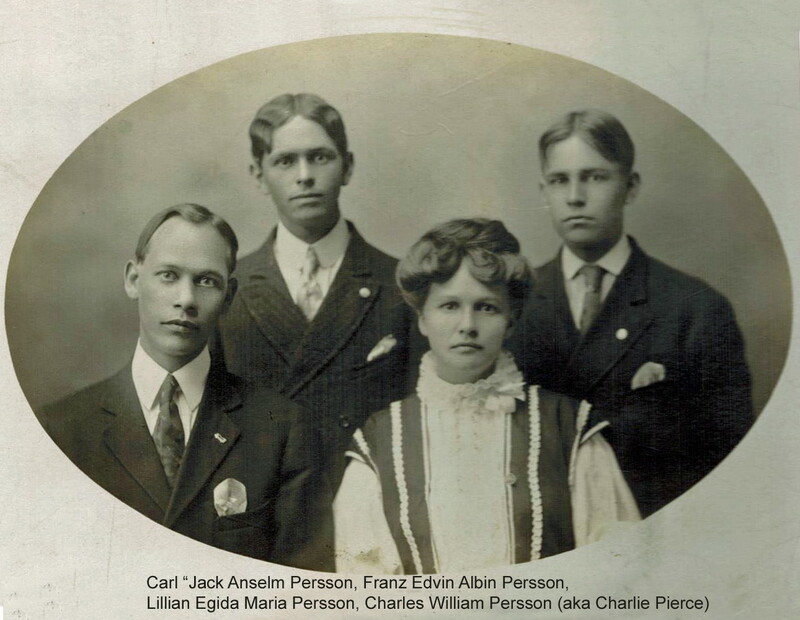 She titled it, “Carolina Hansson Peterson’s Early Life (Memories of a Swedish Immigrant).” Though she eventually ended up in Washington, she had spent her first two decades in America along the Front Range. She raised seven children, supported her husband in times of sickness and poverty, and traveled from quarry town to quarry town as her husband was able to find work. Her story epitomizes the perseverance and strength of the early pioneering women who helped make Colorado what it is today.